With a recent move from the city to the suburbs, our car is almost as much a home to our family as the new house. Sure, we drove before, but now we're constantly on the move, on all types of roads, and in all conditions. 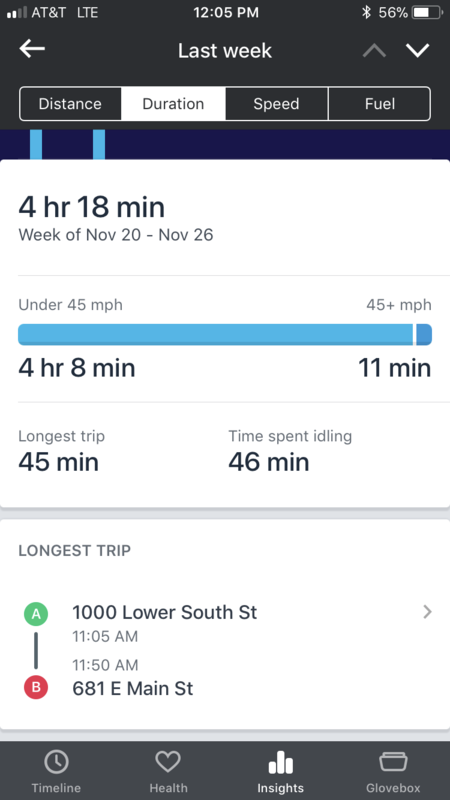 I always liked to think of myself as a safe driver who never speeds, but confronted with the notion of having my driving behavior recorded—in this case, through the KnowYourDrive program from American Family Insurance—I had to admit my propensity for applying a lead foot to an open road. In the battle between denial and hard data, data wins every time. 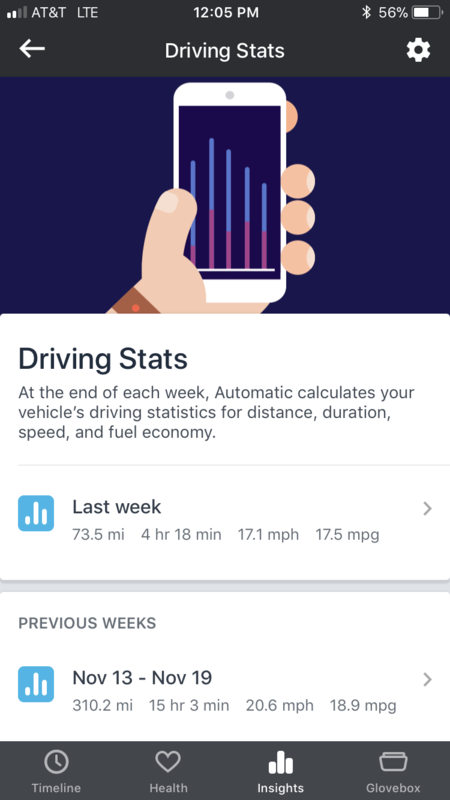 KnowYourDrive requires you to install a plug-in adaptor to your car's OBDII port; that adaptor monitors your driving behavior—tracking information like speed or hard braking—and allows you to track your habits through a smartphone app called Automatic. The better driver you are, according to AFI, the more likely you are to receive a discount on your insurance. The process was pretty simple, and the information was eye opening. Getting started was simple. After registering with an agent, the device arrived in the mail within a few weeks. The device itself is small; it looks almost like a mini version of an old-school Atari game cartridge. (I may be dating myself.) I downloaded the Automatic app, which offered step-by-step instructions to install and connect the tracker to a small fuse box located below the steering wheel. After a lot of beeping and humming, the app instructed me to sync the device to my phone. The syncing took a little longer than I expected, so I just left it in the car and went about my business at home for a bit. When I returned, it was done and ready to roll. The AFI Automatic tracking device. There are plenty of driving trackers out there, but I liked that this one rewarded good behavior with a potential reduction in one's insurance premium—and it’s far easier than attending a defensive driving course for a similar discount. It also gives an idea of how your car is performing, with alerts for maintenance issues and fuel efficiency. Once the device is installed and synched, all you need to do is drive. I was able to access reports that tracked my speed, sudden braking, and rapid accelerations. 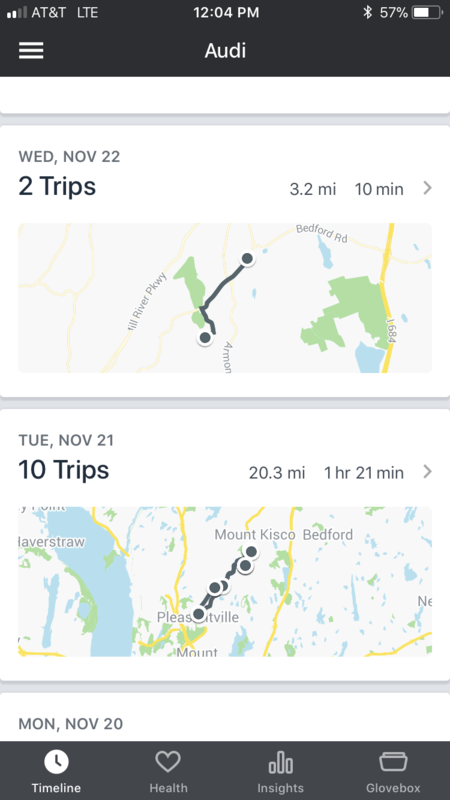 It also included location data, so I knew when and where I was on my best, and my worst, driving behavior—or if it was my husband who gunned it a little too often. 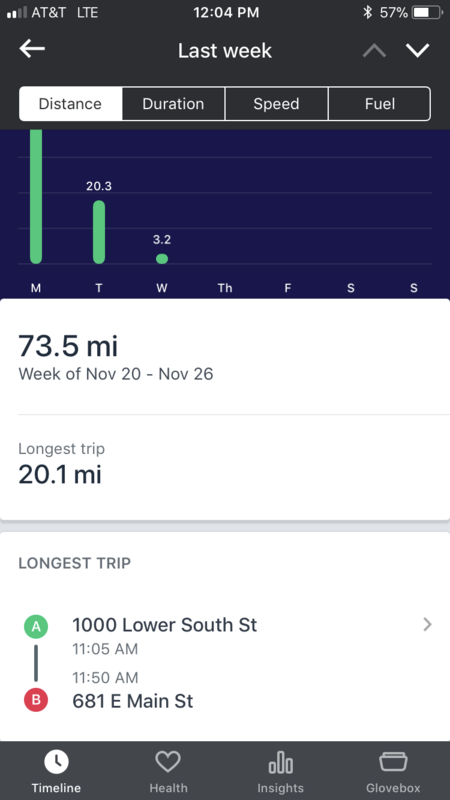 Each trip the car makes is recorded on the device and can be reviewed on the app. However, you are not able to view the data in real time. 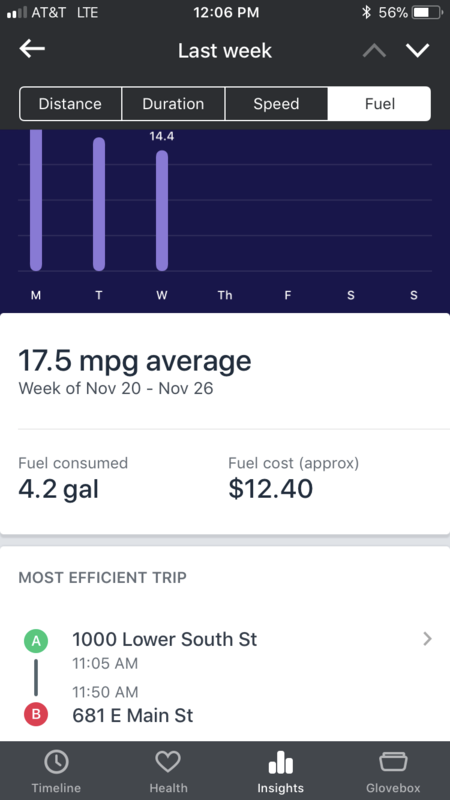 At the end of each week, Automatic calculates the vehicle’s driving stats, breaking down the distance traveled, with route and map data; the duration of each trip along with average speed; a chart with the number of hard brakes and rapid accelerations; as well as the fuel efficiency and cost per mile. There's also a section that keeps a log of any mechanical issues with the vehicle. Once enough data is recorded, you are notified of the projected discount on your premium. If you are an American Family Insurance policyholder, the adaptor comes free with a five-percent introductory car insurance discount, which is then adjusted during an evaluation period. The KnowYourDrive discount is also vehicle-specific, so if you have multiple cars each one is evaluated individually, and the discount applied accordingly. 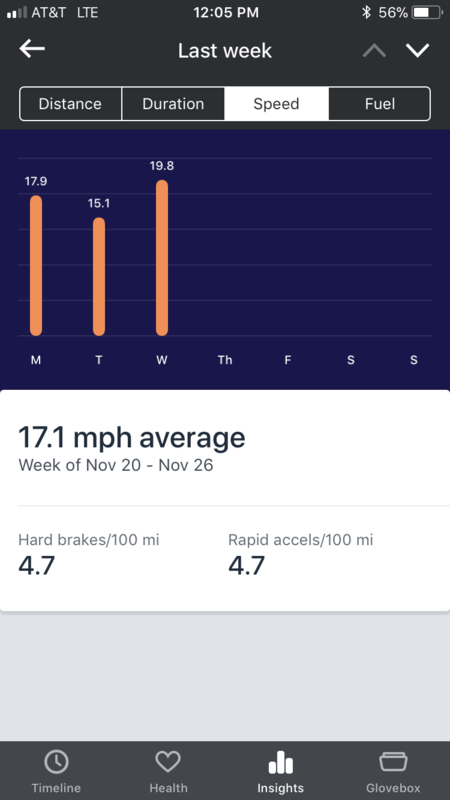 If you're an American Family policyholder and you want a record of your driving habits in an effort to be safer and smarter on the road, this is a pretty cool tool. There's no extra cost, just free information. 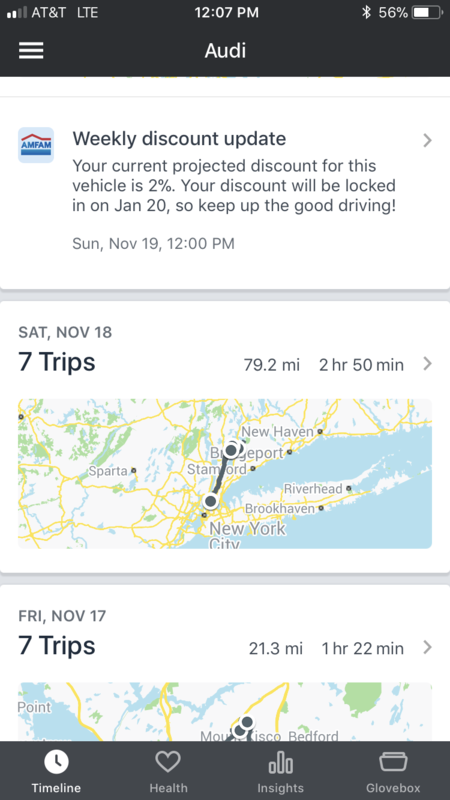 And If you have young new drivers at home, this can help show how they're measuring up—and possibly help alleviate the premium increase applied to young drivers. Sure, there are real-time GPS trackers out there, but they cost money or require a monthly subscription. If you want simple monitoring and information, this is a good first step. Having a clear record of how you drive, and seeing where you can be smarter and safer on the road, might just be enough to steer you away from those bad habits. If you need a bit more enticement, well, that's where the potential discount comes in.